Did you know that at this very moment more than 120,000 people in the United States are in need of a life-saving organ? According to the American Transplant Foundation (ATF), a new person is added to this list every 12 minutes. With organ donations, tissue or organs are removed surgically from a deceased or living donor, and transplanted to the person in need. For individuals and their families, the words “You need a new organ” are earth-shattering. Luckily, we can make a difference. Check out five reasons for you to become an organ donor. Right now in the U.S., there is a severe shortage meeting the demand for organ donations. According to Donate Life America, there are more than 86 million registered tissue, organ and eye donors living in the United States. However, there is still an additional 106,000 men, women and children who are in need of donated tissue and organs. This shortage is due to a variety of reasons. One is not everyone is aware of the need for donations. Another is it can be difficult to meet the medical and behavioral criteria to become an organ donor. Despite the reasons individuals are unable to donate, the fact still remains: the demand outweighs the supply. Your donation can be a part of meeting the shortage. Donating tissue or organs can be done while you’re living or after you pass. Either way, making the choice to donate can often provide a renewed sense of purpose in life. Knowing that your decision can improve or even save someone else’s life is a beautiful feeling. Live On NY states that while a family grieves the loss of their loved one, they can often find comfort in knowing that loss went towards helping another. It’s always difficult to lose someone we love. But if you choose to become an organ donor after your death, family members can often find solace in your donation. If you’re interested in becoming an organ donor, talk with your family members to hear their thoughts and how they would feel after you pass. For those interested in serving the betterment of all society, becoming an organ donor can be a huge gift towards medical research. 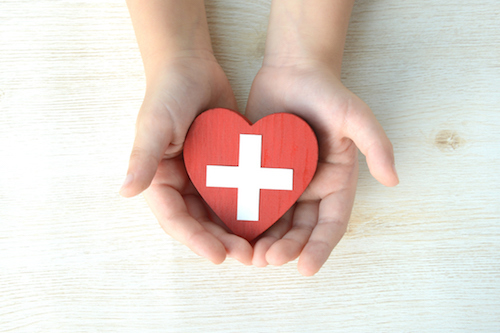 When individuals give their whole body, some parts can be used to donate to people in need, while those not needed can go directly to medical research facilities to help the next generation of transplant recipients. Nothing is wasted, and each part of the donation is used to improve medical services for others. According to Donate Life America, depending on what you choose to give, your organ or tissue donation has the potential to save up to 80 lives. This is an important and powerful legacy you get to leave behind for others. This life-saving impact goes beyond just the donor and the recipient—it affects family members, friends and loved ones as well. That makes a difference. How can you get registered to become an organ donor? It’s simple. Next time you renew your driver’s license, simply check “Become an organ donor.” If that’s too far off for you, check online with organizations such as the DMV, Organ Donor Registry or Donate Life America. No matter how you do it, your donation is vital to providing life-sustaining organs and tissues to those in need.